When you’re a Brit living in the UK, you generally pay tax on your worldwide income and gains; which is why, for most of us, we don’t give our residency status a second thought. We just know we have to pay tax to HM Revenue and Customs. However, once we Britons move abroad, we normally change our residency status and generally reduce or remove our UK tax burden as a result. Because we receive many enquiries about this subject, I thought I’d try and clarify the rules around UK residency and tax liability, and their impact on expats. The trouble is, the information is long, complex and at times tedious! Therefore I’ve broken this down into two parts. This first part deals with determining your residency status and everything to do with the relatively new Statutory Residence Test – the "SRT". 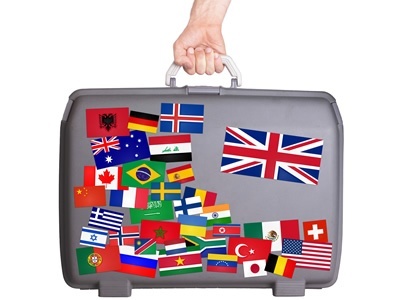 Part 2 covers the split year rules and how they can apply to you in the years you leave or return to the UK..
Just like in my previous UK property tax blog, I’ve split these two articles about UK residency rules into titled and subtitled sections, so hopefully you can just dip in and get any information relevant to yourself without getting too bogged down in the complexity. If you want to know whether you can perhaps save more tax, considering your own personal residency status, please do get in touch, I’d be happy to discuss your options and help in any way I can. 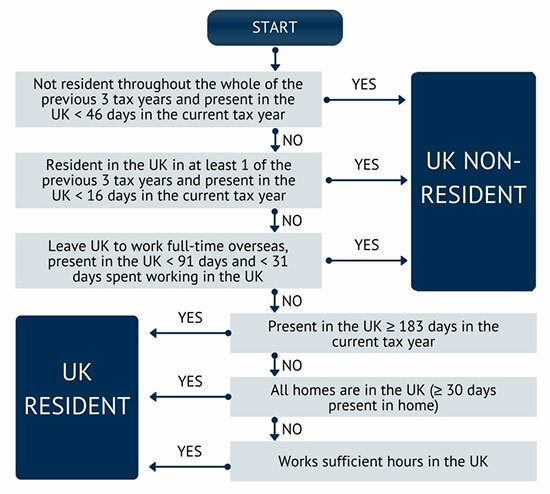 UK residency rules are clear and easy to apply for most people. 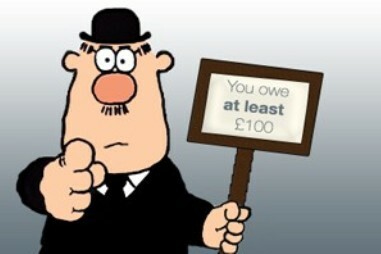 If in any doubt you should use the HMRC residence test tool here and seek professional advice if you are still unclear. Whether you’re UK resident or not usually depends on the number of days you spend in Britain in a tax year. A tax year in the UK runs from the 6th of April to the 5th of April the following year. Your only home was in the UK and you spent at least 30 days there in the tax year. You work abroad full-time, (averaging at least 35 hours a week at work), and you spent fewer than 91 days in the UK during the tax year, of which no more than 30 were spent working in the UK. For most people, the above summary establishes whether they are considered resident for tax purposes or not. But for some, at least during their early years of living abroad, the rules don’t quite cover their situation. The taxman appreciates that it’s not always easy to tell whether you’re a resident or not, and so he’s created a handy tax residence indicator tool online which provides guidance. This will generally indicate whether you’re considered resident or not in any given tax year, depending on the information you input. If your situation is still not clear, it’s time to look at the Statutory Residence Test. The SRT came into effect from 6 April 2013, and applies from 2013 - 14 onwards. If you do choose to do this, it doesn’t change your actual residence status for previous years. you meet one of the automatic UK tests, or the sufficient ties test. You were resident in the UK for one or more of the three tax years preceding the tax year in question, and you spent fewer than 16 days in the UK in the tax year in question. Note: if an individual dies in the tax year, this test does not apply. You were not resident in the UK for any of the three preceding tax years, and you spent fewer than 46 days in the UK in the tax year in question. The number of days in the tax year on which you worked for more than three hours in the UK was less than 31. What constitutes “a relevant job” for the automatic overseas test? The majority of trips you make in performing your duties or carrying on your trade activities are cross-border trips. e., trips literally involving the crossing of international boundaries whether at sea, in the air or on land. There are two automatic UK tests, and if your situation falls into either of these categories, you’re likely to have been resident in Britain for the tax year in question. If you spent 183 days in the UK in the tax year, then you are a UK tax resident. If you have, or have had, a home in the UK during any of the relevant tax year the second automatic UK Test will apply to you. Did you have a home in the UK for at least 30 consecutive days of the relevant tax year? Were you present in this UK home for at least 30 days of the relevant tax year? Being present counts as any period, however short, that you were physically in the home between midnight and midnight on the day in question. Did you have this UK home for at least 91 consecutive days in total? Did you have no home overseas, or an overseas home where you spent less than 30 days in the relevant tax year? If the answer to all three questions is yes, then you have met the second Automatic UK Test and you are tax resident in the UK. If you do not meet any of the automatic overseas tests or any of the automatic UK tests, you should next use the sufficient ties tests to try and work out your UK residence status for a given tax year. A word of warning: the sufficient ties tests can be really broad in terms of their application, and are subjective in many ways. Always consider that it is in HMRC’s interests to prove you’re a UK resident and therefore liable to pay income and capital gains tax on your worldwide income. Therefore, if you’re in any doubt about your UK ties after reading the following, err heavily on the side of caution. Ties in this sense are connections to the UK. You have to consider your ties and then the number of days you spend in the UK in any tax year that’s under scrutiny and work out whether they are sufficient for you to be considered UK resident for tax purposes. Additionally, if you were resident in the UK for one or more of the three tax years before the tax year under consideration, you will also need to consider if you have a country tie. I discuss each of the ties in question below. The number of days you spend in the UK in a tax year is relevant to the number of UK ties needed for you to be UK resident. There are five potential UK ties and they are as follows. Please note I have just summarised the core information relating to each! If you’re in any doubt whatsoever, I recommend you refer to the HMRC website for greater clarification. Remember, when it comes to tax, err on the side of caution. Your child, if under 18-years-old. If it is the home of a close relative, you spend 16 or more nights there during the year. Gaps of fewer than 16 days in the availability of the accommodation for your use will count towards the continuous period of availability. Child or grandchild aged 18 or over. These people can be your blood or half-blood relative, or someone related to you through marriage or civil partnership, and any adopted children. You are considered to have an employment or work tie for a tax year if you do more than three hours of work a day in the UK on at least 40 days in that year. The 40 days to not have to be continuous back-to-back days. However, there are special rules about what constitutes three hours of UK work for people in relevant jobs. What constitutes “a relevant job” for a work tie? In relation to the work tie, a relevant job is held by those with jobs on board vehicles, aircraft or ships. You’re a tradesperson whose work is done on board a vehicle, aircraft or ship while it is travelling, and you have to be present in person on board the vehicle, aircraft or ship while it is travelling. Also of relevance is that substantially all of the trips you make when performing your duties are cross-border trips. I.e., trips that literally involve crossing an international boundary at sea, in the air or on land. You have a 90-day tie for a tax year if you have spent more than 90 days in the UK in either or both of the previous two tax years. You are deemed to have a country tie for a tax year in question if the UK is the country in which you were present at midnight for the greatest number of days in that tax year. If the number of days you were present in a country at midnight is the same for two or more countries, and one of the countries is the UK, then you will be considered to have a UK country tie for the tax year if the number of days you were present in more than one country including the UK is the greatest number of days you spend in any country in that tax year. For the purposes of this specific Statutory Residence Test, presence at midnight in any state, territory or canton into which a country is subdivided is regarded as presence at midnight in that country. Firstly, for the tax year in question, did you spend 183 days in the UK in that tax year? If yes, then you will be resident in the UK. If no, then go through the three automatic overseas tests. If you meet any one of these, then you will not be UK resident for the tax year in question. If you do not meet any, then did you meet the second or third UK tests? If you meet either one of these, then you are UK resident. If you do not, then you have to consider the sufficient ties tests. If you meet these, then you are UK resident. If you do not, then you are not UK resident. HM Revenue and Customs considers you to have spent 1 day in the UK if you are in the UK at the end of that day, i.e., at midnight. However, even something that simple is open to interpretation! What is the SRT deeming rule? If you’ve read this far you deserve a medal, and you will also have noted that some of the SRTs require you to count the number of days that you’re in the UK in a given tax year. Days you are still physically in the UK at the end of that day, at midnight, count as days spent in the UK for the purposes of tax and residency. In theory, if you aren’t present in the UK at the end of a day, that day does not count towards your total of days spent in the UK. Been present in the UK on more than 30 days without being present at the end of that day in the tax year. These are called qualifying days. Note: this deeming rule does not apply to the limit on days spent in the UK under the third automatic overseas test. 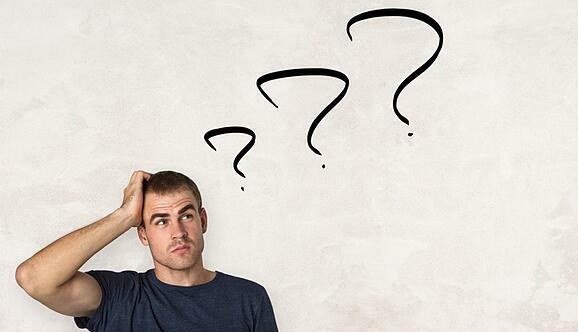 If you meet all the above conditions then the deeming rule means that, after your first 30 qualifying days, all other qualifying days within the tax year in question are actually treated as full days that you spend in the UK. If the deeming rule applies to you, for the purposes of counting up the number of days you have spent in the UK, you must total up all your days spent. I.e., the days when you were present at the end of the day and any qualifying days, over and above the 30 day threshold. Transit days don’t count towards your total day count for the purposes of the Statutory Residence Test. You leave the UK the next day. A final caveat to keep in mind, the day you arrive in the UK when you’re in transit won’t count as a day spent in the UK for the purposes of the Statutory Residency Test. But…the next day, when you leave the UK, may count as a qualifying day under the deeming rule. See the above section on this for greater clarification. When it comes to tax and your liability for it, never assume anything, i.e., don’t assume that you’re not liable for tax in the UK or you don’t have a tax charge on income or gains. My advice would be to always seek professional guidance. 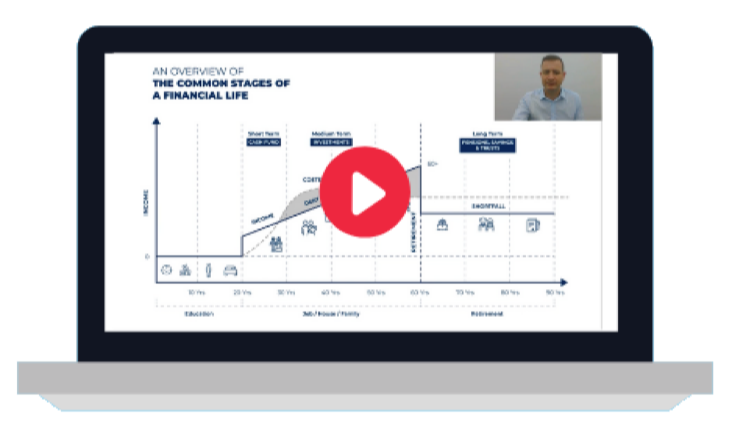 And on that note, although I am a chartered financial planner rather than an international accountant, if you are interested in discussing your residence status and whether there are any ways you may be able to save taxation on any area of your portfolio, assuming you’re an expat with a net worth in excess of £500,000, do get in touch, this is a particular area of interest and expertise of mine. Finally, if you’re interested in how split year rules may apply in your case, I have covered these in the second part of this UK residency rules mini-series.